"You remember the election campaign, water and in particular the sale of water and in particular issues around bottled water were one of the really big issues. And I would argue it's one of the reasons the Government changed actually," Shaw told reporters. "We've managed to get this, a commitment on the agenda, that seeks to fix the law and make those protections, for sale of water in particular, stronger," she said. 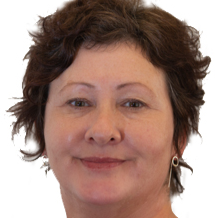 "We will review the benefits test in section 17 of the Act and ensure consideration of water extraction issues is front and centre," she said. The announcement, made at the Green Party's annual general meeting in Palmerston North today, was met with delight by the more than 200 party members who attended. "The Greens recognise the intrinsic value of freshwater and its inalienable right to be protected from pollution and over-use. But we are also very clear that Māori have rangatira and kaitiaki rights over water, guaranteed in Te Tiriti o Waitangi." "On this, the Greens are holding true to our longstanding position. Protecting the environment and recognising Māori rights go hand-in-hand. You cannot achieve one without the other."